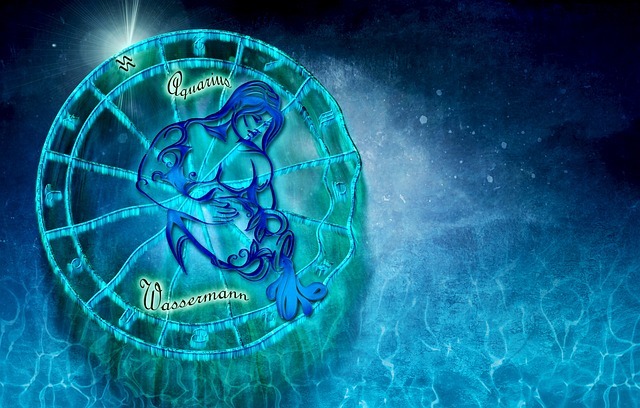 Weekly Aquarius horoscopes for the week ending 26th May 2018 – with a difference! We tell you the planetary weather, and you decide how you will plan around it! Will you take an umbrella? Will you dance in the rain? Or will you fall in a puddle? Same weather, different outcomes! This astrological weather report for the week ending 26th May 2018 is for people with predominantly Aquarius energies in their chart. For example, this could be if Aquarius is your sun sign, rising sign, or moon sign. By seeing what zodiac sign the moon is traveling through, we can work out which areas of life you will instinctively reflect upon for a day or two, and how the energy “weather” will interact with you. The moon in Leo shifts your instincts to focus on commitment issues with a significant other. You may find this causes you to feel conflict about unexpected events that rear their head at home. Additionally, you may sense some opposition from a significant other, as you could be coming across as too aggressive. At this time, you are also entering into a period whereby you intuitively seek fun, romance, and creative expression. The moon then moves into Virgo and impels your instincts to confront many of your fears, intimacy issues, and how you may need to utilize other peoples resources. It could be that an unexpected event at home becomes the catalyst for you to dig deep into the proverbial family dungeon to face some skeletons in the closet. Ironically, this could prove beneficial. Nevertheless, you do feel that you would much rather escape into pleasure-seeking and avoid the issues. A financial opportunity may arise at work but will entail you taking a leap of faith. Additionally, you would have a good kick start to any new diet you wish to undertake. As the moon enters Libra, your instinct to seek outside the current box of your understanding becomes stronger. Taking the higher ground, and applying a higher life philosophy will impel you to convert any aggressive energy you feel into assertive energy. Ultimately, you will reap the benefits as your creative expression will produce fruit. Nevertheless, you feel strongly that you must concentrate on making money and doing the hard yards to achieve any mundane obligations that you feel drawn to, and this could create some conflict. When alone you might be able to admit to the limitations that hold you back, which are embedded deeply in your subconscious. The moon drifts into Scorpio, and your intuition swings it focus onto your life goals and public image. You are currently feeling very positive about where you are going in life. However, you are not sure that your foundations have any stability. Family acts unpredictability, and you may worry this could upset your apple cart. Make sure that you are not the catalyst for many of these unexpected outbursts through appearing aggressive to others.